WHERE TO GO EAT IN HAWAII? It sounds like many of you have trips planned with summer a few months away! Here’s a list of places to hit to grab some grub on the North Shore and avoid the tourist traps. 1. 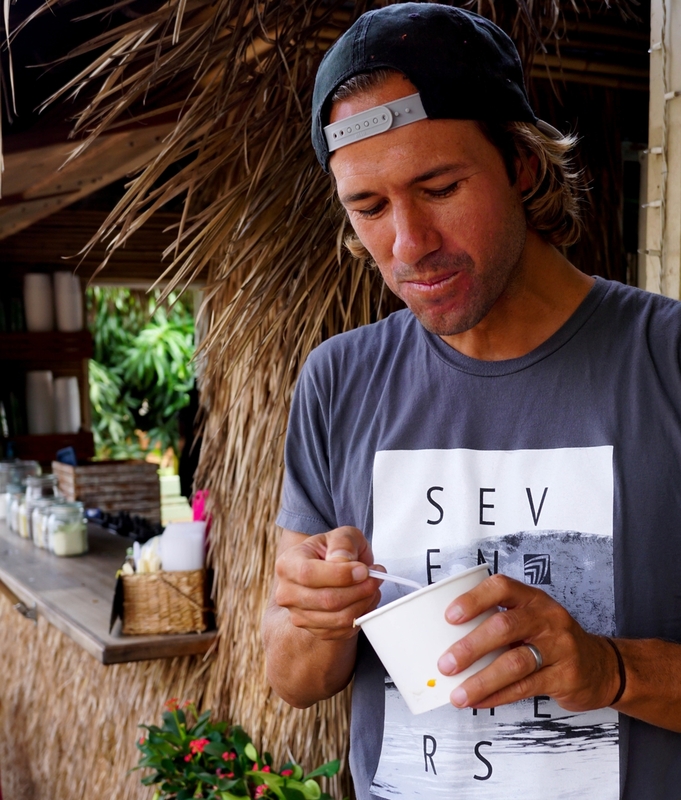 The Sunrise Shack is ran by 3 Brothers and their friend Koa who are passionate about health and believe in fueling their bodies with locally sourced superfoods "to feel Happy, Healthy and strong" so naturally they're serving up- tropical papaya boats, local snacks-Vegan burritos, cold pressed juices and other great options right across from Sunset Beach everyday from 7am-4pm! 2. 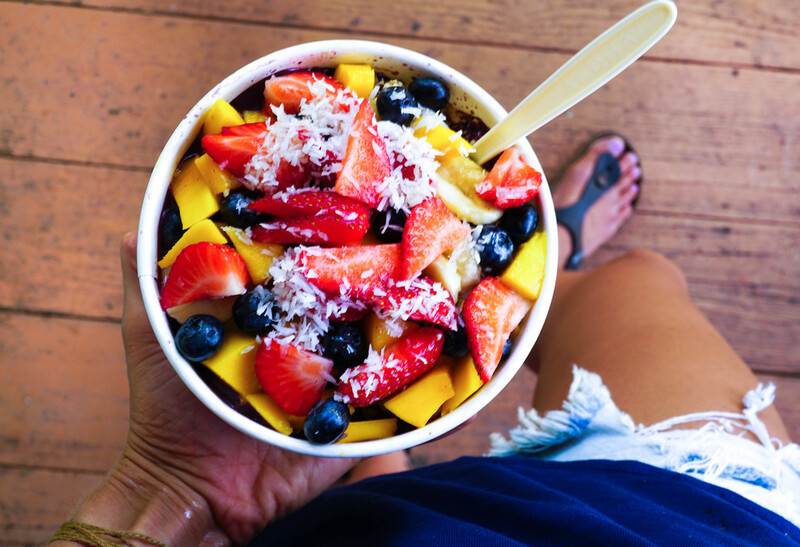 Haleiwa Bowls: If you are ever on the North Shore, stopping at Haleiwa Bowls is an absolute must. 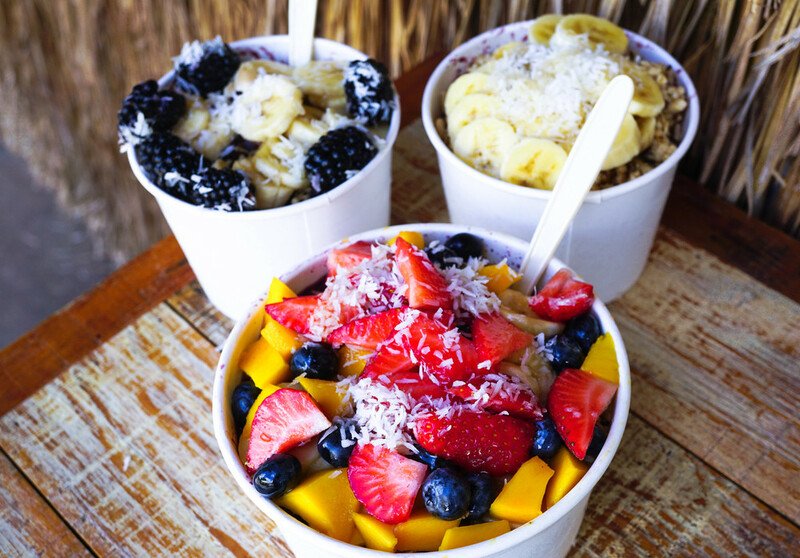 It's a local favorite where you can find endless acai bowl combinations, smoothies and Kombucha. This is one of our favorites places. 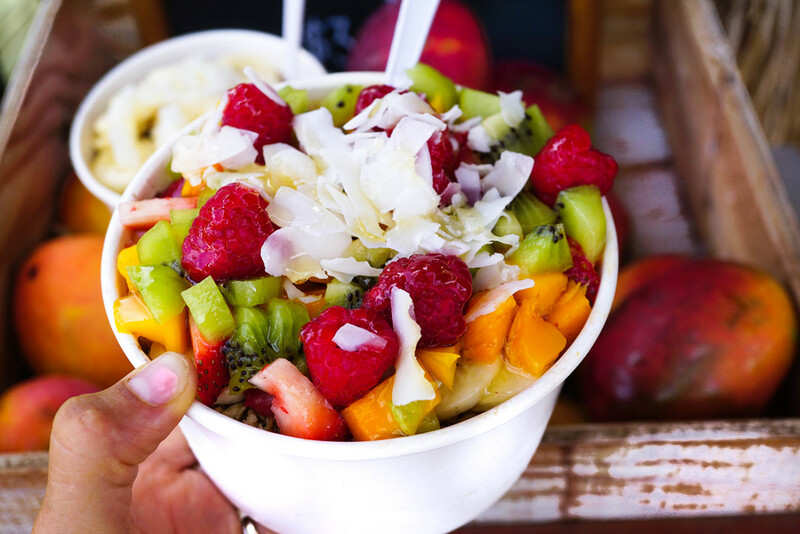 They sometimes have a smoothie bowl truck by Pipeline, but they have a permanent location in Haleiwa Town! 3. Waimea Valley Farmers Market is open only on Thursday afternoons and has all sorts of locally made foods and produce! Its a gorgeous place to have a picnic so bring a blanket and hangout on the open grass with the peacocks! 4. Island Vintage Coffee has a number of locations around the island and are known for their acai bowls, fresh salads, Vegan poke bowls, gift section and sandwiches. Its a place everyone will find something to enjoy. 5. Pupukea Grill is a bright blue food truck serving a full array of fresh local foods across from Sharks Cove and down the street from Foodland! The goddess salad is my favorite minus feta, their vegetable coconut quinoa curry is bomb, and their new acai bowl has got to be the most fully loaded acai bowl on the island! 6. Il Gelato Hawaii has an assortment of sorbets made daily! 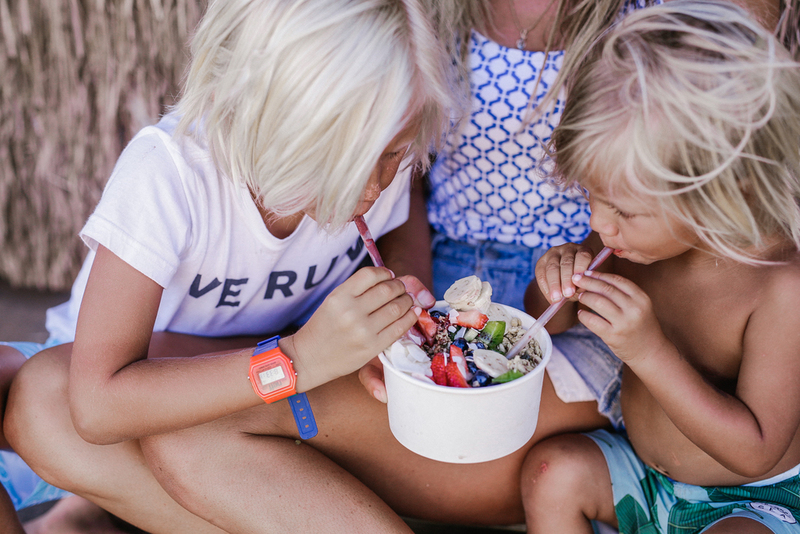 They are constantly switching up their flavors but our favorites are mango+lilikoi, coconut+lime with Acai sorbetto. Ill Gelato also serves gluten free crepes and other breakfast items! 7. Elephant Thai aka home grown Thai Food that you can order a head of a time on an app? Yes please! They are now located in Haleiwa! You have to try the Ganesha Vegan Tofu Pad Thai! This is what we get with extra vegetables! 8. 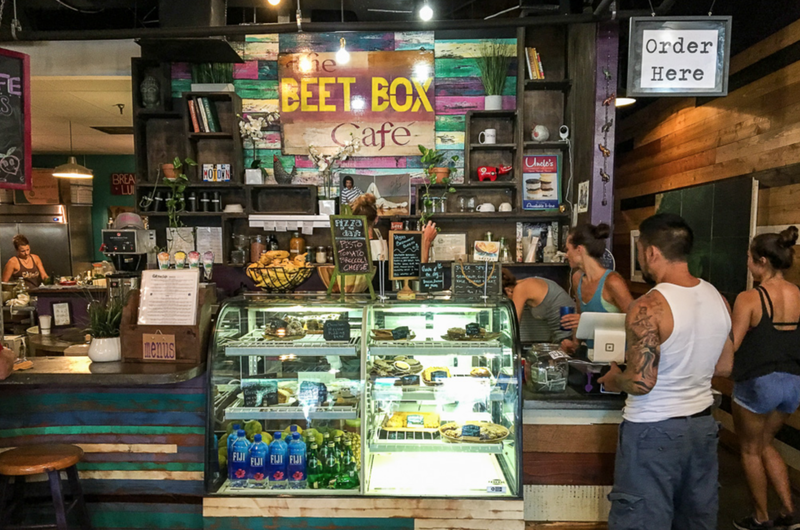 Beet Box Cafe is a healthy vegetarian cafe next to Celestial Natural Foods with loads of vegan and gluten free options. If stopping by come for breakfast, lunch and snack options, smoothies, smoothie bowls, fresh juice in the day because they are closed for dinner! Try to miss the lunch rush because this place gets pretty busy! 9. Banzai Sushi is a little bit more fancy therefor a great place for dinner. They offer up some good salad and vegan sushi options, rock salt edamame, and miso soup with traditional Japanese style floor seating, good music and surf videos playing on the big screen. 11. Well + Proper is my "go to" for the best organic cold pressed I have ever had in my life. Janelle is a true artist and puts love and thought into each of her juice combinations. She is known for her juice feasts and month subscriptions! She now has a store front in Honolulu but if you're on the North Shore she can get juice delivered right to you! Every time I order I get a few powerful turmeric shots! 12. North Shore Goodies is where you get hands down the best peanut butter in the world. The whole store is mostly peanut butter with other jams and sauces with a sampling table of everything! 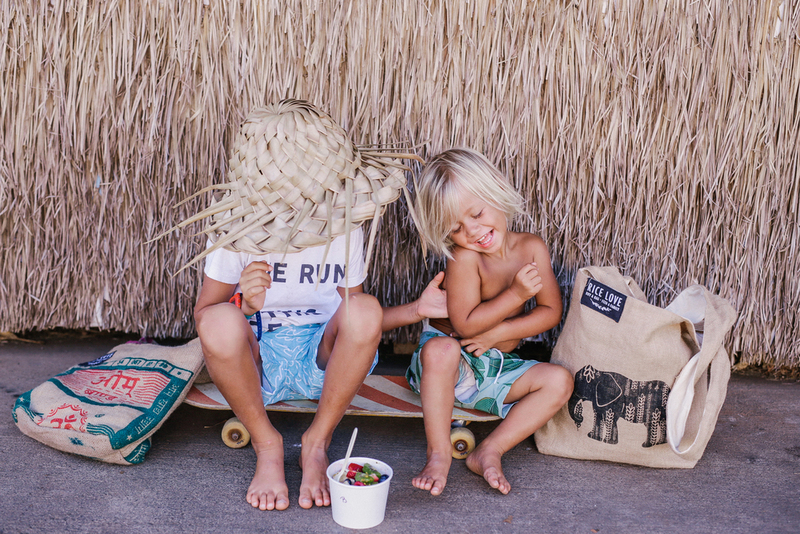 Our favorite is the original coconut peanut butter and the macadamia, coconut peanut butter! Its pricey but worth it! 13. 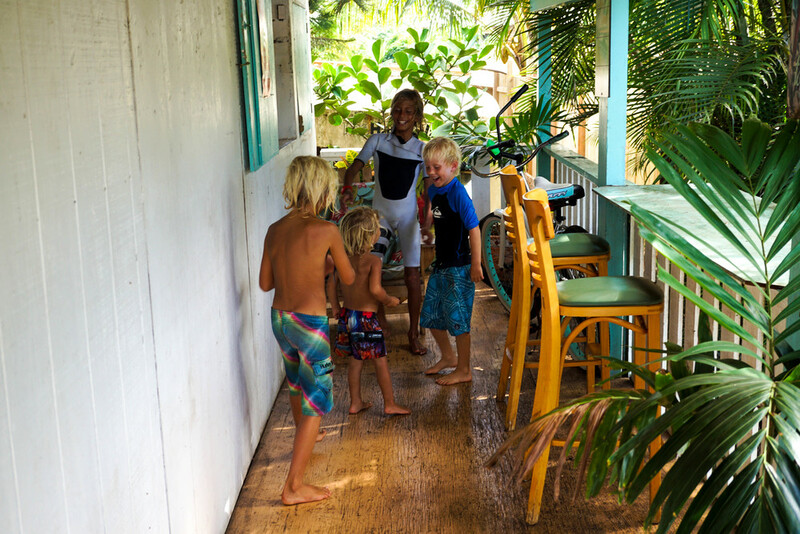 Waialua Bakery is family ran cafe who has been around for over 16 years. Waialua Bakery's produce is either grown on their own family farm or sources from other local organic farmers. Everything is home made and fresh and the prices are probably the most reasonable on the island! We love their sandwiches, cookies, power balls, salads, and smoothies (which all come with gluten free and vegan options) . 14. Kahuku Farms is a beautiful place to have lunch! Its located on a farm with a big open area for the kids to run and play as you wait for your food. Kahuku Farms is the only place on Oahu who grows their on acai and uses a crumble on their bowls instead of store bought granola! Its pretty insane! This is where I like to get bananas, papayas and my dino kale too! We love this family ran establishment! If you have time make sure to go for a tour of the farms! 15. The Coffee Gallery has a soup of the day which are usually vegan and offer a few gluten free and vegan baked goods, smoothies and teas! Its right next to Il Gelato in Haleiwa Town so its worth popping your head in and checking out! 16. Vland Tacos (aka Hapa Tacos) is a small truck that offers a great Purple Haze bowl with local grown lettuce topped with Okinawan sweet potatoes, salsa verde and more. Great for lunch or dinner. 17. Sevenbrothers- for those of you that dont know my husbands family started Sevenbrothers which is predominantly a burger place so you can see how funny I felt deciding to go vegan but hey to each is their own. When we go I order a big salad with lots of avocado and the best home style potatoe wedges you'll ever have! 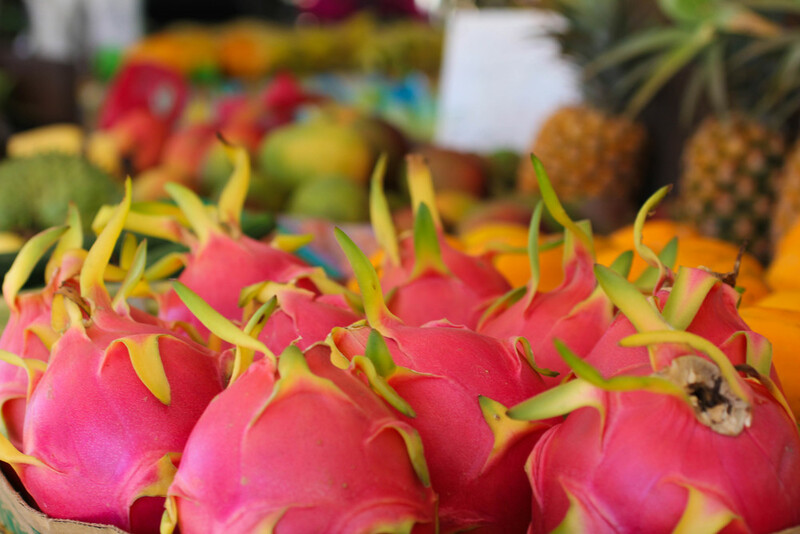 If you want to experience all the the tropical treasures that Hawaii has to offer in one place, stopping off at the Kahuku Fruit Stand across from the gorgeous Kawela Bay on the North Shore of Oahu is a must. Don't forget to try the massive papayas, local mangos, pink guavas, brown sugar fruits, lychee, rambuton and ice cream bananas! This should get ya on a good start! Let me know if you have any favorites I missed or that you visited on @earthyandy!